What's for lunch? Funky cuteness. Between hectic mornings, burnt toasts and bus horns, sandwiches are pretty much your only option to fix a quick lunchbox for your kids. But smearing the same old peanut butter jam between two toasts won’t get you the cool-mom title. Below are some cool ideas to add some a fun-twist to your regular sandwiches. 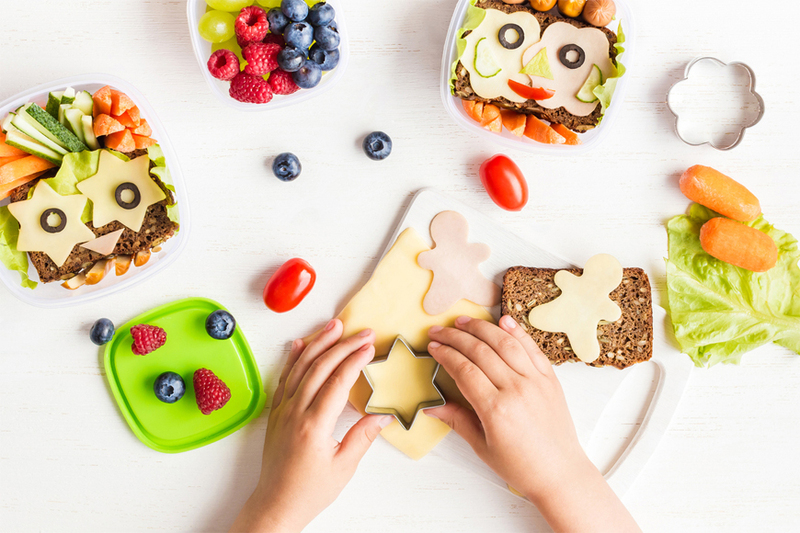 All you need are basic sandwich ingredients, cookie-cutters, colouring pens and 10 minutes in the morning to make these delightful surprises. They may not be the prettiest on the list but they're definitely the goofiest. Ham for the meat, cheese for the taste and olives for the eyes, we'd love to take a bite out of this monster. Before you make this cool Batman sandwich, here's a fair warning: If your kid is a fan of Batman, chances are he/she is going to ask you for this same meal every day, for the rest of the term year. Who says sandwiches can't be served on a stick? This otherwise regular PB&J sandwich gets all points for creativity. Boiled egg, cherry tomatoes, a slice of cheese and 5 minutes are all you need to whip up this funny sandwich. Put your cookie cutters to good use. Make some cheese and bread flowers and you'll be surprised to see how pretty they look with a side of orange slices. An angry pastrami sandwich for the Angry BIrds fan in your house! These adorable whales need to be saved and bragged about forever, in an Instagram snap. Show some sweet TLC to your angel with these pretty-looking heart-shaped sandwiches and cookies. It's nothing fancy, just your old ingredients cut with a cookie cutter and served with loads of love. Christmas can come anytime you want with these super-cute snowman sandwiches. With so many green-leafy veggies, this bento box is as healthy as a lunchbox can get.